While I don’t doubt that they are still reasonably in time with the agricultural flexibilities of the land of Israel, it certainly will feel strange for Rosh Hashanah to be in October, Sukkot to coincide with Halloween, and Hanukkah to start on Christmas. But these are still half a year away. It is this time of year, February/March, in which our leap month of Adar and Adar 2 occur. In the midst of winter, when time seems to run more slowly (for me at least) we add an additional month, delaying the exciting, colorful, crazy celebration of Purim and pushing to the very end of April, and well past spring vacation, our celebration of Passover. But during this elongated winter we at TRT have something additional to look forward to. 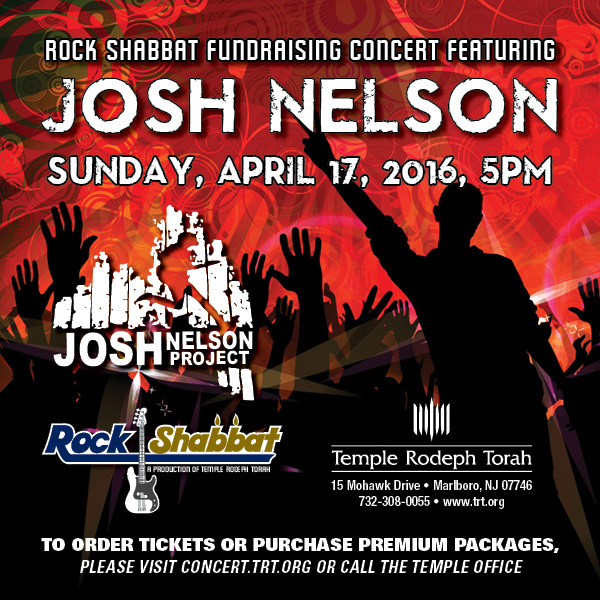 This year our 4th annual Rock Shabbat Fundraising Concert will take place on Sunday, April 17th. We have been blessed with tremendous artists in the past, hosting Sheldon Low, Steve Dropkin and Beth Schafer, and this year we are truly in for a treat. This year Josh Nelson of the Josh Nelson Project has agreed to grace our bima with his presence. Josh is an exceptional musician and performer. He has been the music director for the URJ biennial conferences, serves on the faculty of Hava Nashira songleader training, and is on faculty for the URJ, among many other accomplishments. He has written some of the music we use for Rock Shabbat and religious school, including Hava Nashira and L’dor Vador. In his recent collaboration with Neshama Carlebach, daughter of the late Rabbi Shlomo Carlebach(z’’l), “they merge two very different Jewish journeys and traditions into a singularly meaningful and uplifting musical experience that brings newfound unity to the Jewish people.”* Neshama has been known to travel with Josh for performances as well. I am truly grateful to Josh and to our concert underwriters that we are able to bring Josh to TRT for our annual concert! Now for your part, I hope you will once again come and celebrate TRT and Rock Shabbat by attending this amazing concert. Buy a ticket, buy an extra, become a VIP sponsor, pick up an extra postcard or flyer and help us spread the news. Like our Facebook or Instagram links and share them with your network. This concert will be wonderful, but we are also relying on it to enable another great year of Rock Shabbat. 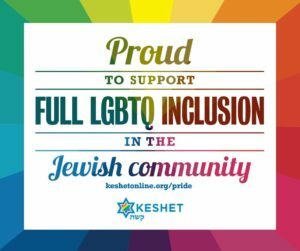 The proceeds of this concert, along with our monthly sponsors, are how we, as a small community, can afford to have Rock Shabbat and afford to bring in some of the best Jewish artists of our time. We depend on you to help us continue this amazing worship program. Josh Nelson will bring us a fantastic concert. Please help us fill the room and ensure the future of Rock Shabbat!